For many of us, it’s now back to work after the holiday season. It can be hard to get back into a good lunchtime routine following a summer of treat-filled barbecues and delicious holiday cuisine. So kick those post-holiday blues into touch and start afresh with a new and exciting healthy lunchtime routine. Clinical Nutritionist, Suzie Sawyer, tell us how to get back into the swing of things and feel motivated, positive and energised with these top lunchtime tips! Whilst you may not have time to prepare a creative meal to take to work every day for lunch, there are a few simple rules you can follow to make sure you eat something satisfying and leaving you feeling energised throughout the afternoon. It’s all about avoiding the 3 pm slump! 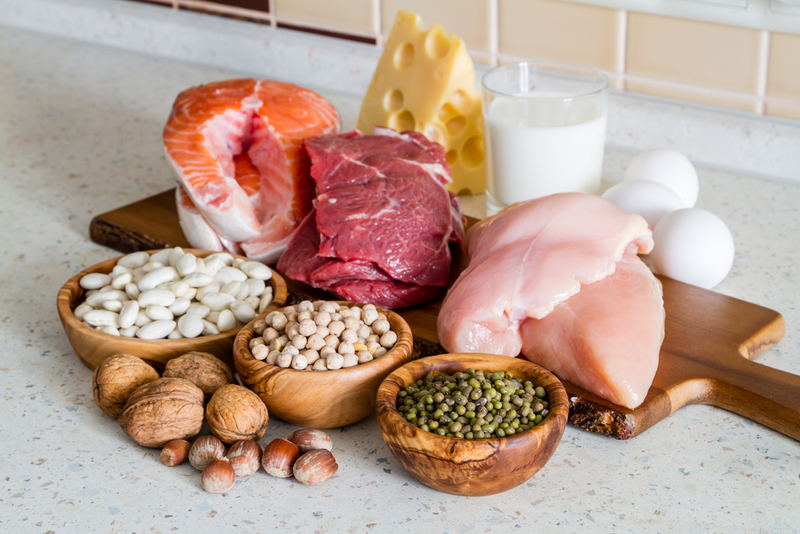 So your lunch should always contain some protein and there are so many options to choose from. Mix it up with eggs, fish (salmon, tuna or prawns are good choices), chicken or turkey, pulses or beans. Additionally, quinoa is high in protein and makes a great base for any salad. Your choice of meal may depend on the availability of fridge storage or cooking facilities at your place of work. 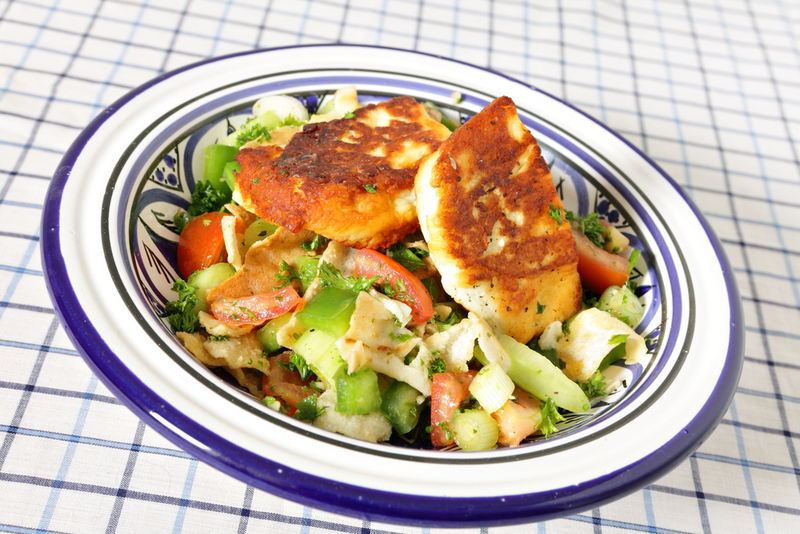 So always think about how you can use leftovers from the night before; grilled salmon can be added to salad leaves and other salad veggies; quinoa is great with some tuna, cucumber and tomatoes; grilled vegetables are delicious with some halloumi cheese added. 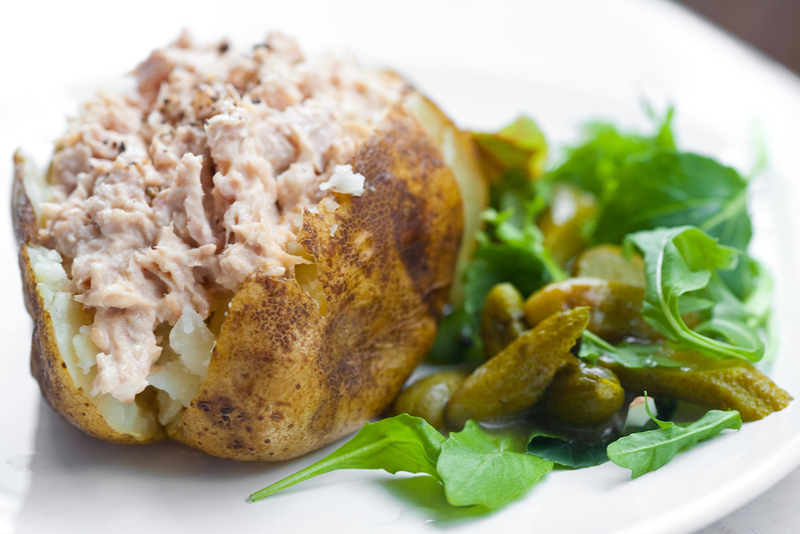 If you have access to a microwave why not bring in a homemade bean soup with a wholegrain roll, or knock up a quick jacket potato with tuna and salad – as long as you follow the protein rule your nutritious lunch should last you through till dinner time! Unfortunately, there tends to be a culture in many UK workplaces that if you take time out for a ‘proper’ lunch break, then you’re a part-time worker. This, of course, is not the case and does not promote a healthy work lifestyle. Most people experience some level of stress throughout the working day and it is shown that the digestive system slows down during stressful times. If you are eating at your desk it is more likely that you will not be digesting your food well and this is more likely to cause discomfort during the afternoon. 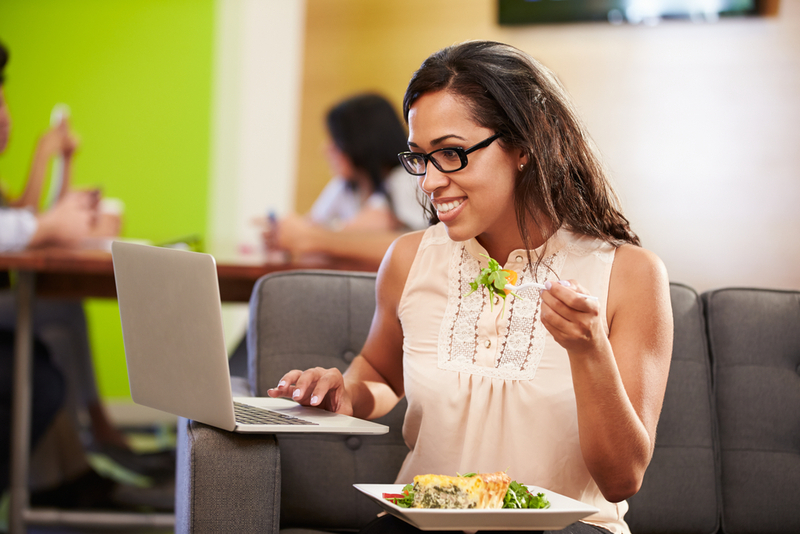 Taking some time away from your desk to eat your lunch means you can switch off from work if only for a short time. You are more likely to rush your food whilst sitting at your desk, so moving away from your workspace means you will probably eat more slowly: this in turn means that your digestive enzymes can do their work properly, and should ensure you have less bloating throughout the afternoon. Well, a walk at least! 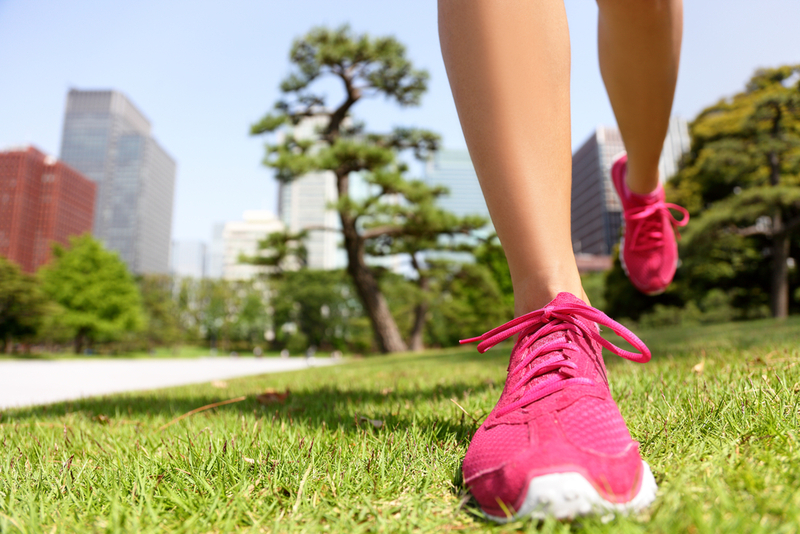 Once you’ve eaten your lunch away from your desk, take a 15 minute brisk walk. Not only will this make you feel much more energised, it will also clear your head so you’re ready to return to your desk feeling refreshed. And while the sun still shines, just 15 minutes of sunshine a day will give you a good boost of vitamin D which will not only help your bones and teeth, but support your immunity throughout the coming months. Taking a walk shortly after eating also helps the glucose that has just been released to be better metabolised. This means you will have sustained energy for the rest of the day and that this glucose is less likely to be stored as fat. So, it’s a win-win situation! Whilst eating away from your desk, it’s a great opportunity to plug into something completely different, something that will take your thoughts away from work: this could be listening to music, a podcast or an ebook, or engaging in an interesting topic online. ‘Ted’ talks are really popular and there are so many that can be watched in around 15/20 minutes – great for anyone who really can’t spare a full hour for lunch. Why not use it as an opportunity to learn a new language, or engage in trending videos that day? 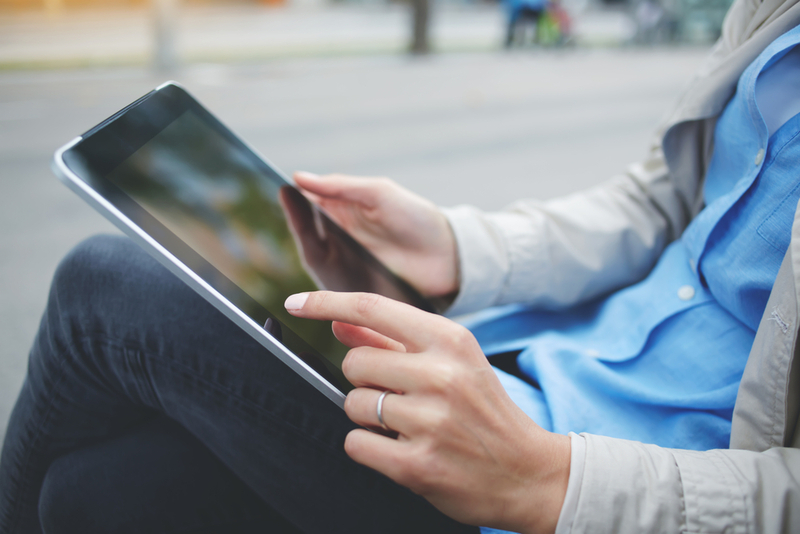 Get up to date on the latest digital trends, explore new fitness ideas, discover recipe blogs. By turning your attention to new subjects, your mind will be more refreshed when you return to your desk after lunch. Many workplace environments offer exercise facilities of one sort or another, whether on-site or somewhere nearby. If there is any opportunity to use your lunchbreak for exercise (whilst still leaving time to eat right) then grab it! Exercising at lunch time helps to reset you for the afternoon. Your body responds well at this time of day, due to its natural circadian rhythms. It’s a great time to do some kind of endurance exercise such as jogging or cycling, but any form of exercise that raises your heart rate will be beneficial not just to your physical health but also for your creativity and thinking ability for the rest of the day. And if all else fails, that 15 walk around the block gets your body moving and ensures you get some much needed fresh air. So as you return to work feeling refreshed and energised, seize the moment and keep that great feeling going with a new and energising lunchtime routine.